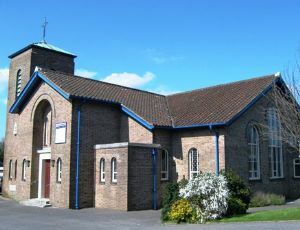 Our Lady of Lourdes serves the community of Carnforth, in the Diocese of Lancaster. Carnforth is a small town surrounded by a number of villages, and is close to the Cumbria/Lancashire border. Visitors are most welcome and we have many who visit us from the many surrounding holiday villages. We also have a number of families whose children attend our Catholic Primary School. The parish is served by Canon John Gibson, who resides at the presbytery.